Sincerely Different's all-natural achy muscle rub has yogis, athletes, and gardeners galore sighing with relief! 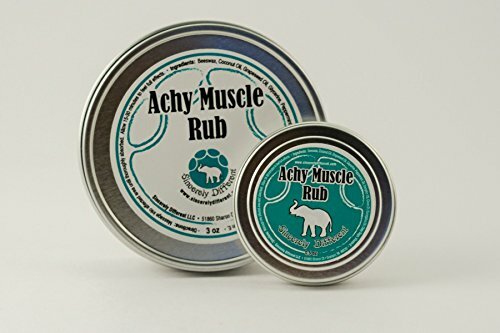 With ingredients including eucalyptus, camphor, clary sage, clove and peppermint oils rub this salve right into sore muscles for long-lasting relief from aches and pains. It even works wonders for arthritis! View More In Feet, Hands & Nails. If you have any questions about this product by Sincerely Different, contact us by completing and submitting the form below. If you are looking for a specif part number, please include it with your message. Berrywine Scented Hand and Body Lotion 4oz Perfect Gift for that Wine Lover on your list!